Dr. Mariposa is truly an East-West woman, having lived for equal parts of her life on both coasts of the country. Mariposa spent her youth in Massachusetts and Rhode Island. Her early exploration of body-mind politicking revealed itself in her undergraduate studies. She received an Associate of Arts Degree in Theater Arts from Roger Williams College in Bristol, Rhode Island in 1978. She then went on to earn a Bachelor’s Degree in Psychology , minoring in Women’s Studies, from the University of Massachusetts at Boston in 1981. 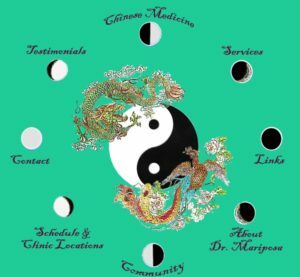 In the 1980’s Mariposa moved to the West Coast to follow her heart on the path of Traditional Chinese Medicine (TCM) at what was then newly opened, and now famed, Five Branches Institute. 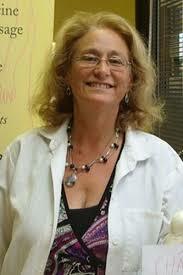 She was licensed nationally and in the state of California to practice acupuncture in 1988. She has served as an Associate Professor at Five Branches Institute since September 2000 and is also a clinical supervisor for interns and students of the craft of healing. 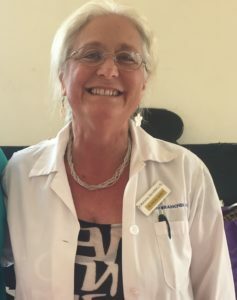 Dr. Mariposa’s early professional experience has led her through many wonderful journeys and fortunate understudy with master herbalists Michael and Lesley Tierra, Renee Ponder, Jeanine Pollak, and acupuncturist Donna Leight, all of whom have opened doorways of knowledge to her. Dr. Mariposa has been in private practice since 1988, and continues to travel and teach around the country. She is a sought-after lecturer and has presented numerously at Cabrillo College of Aptos, the Northern California Women’s Herbal Symposium, Dominican Hospital of Santa Cruz, and the West Coast and Michigan Women’s Music Festivals. Her ceaseless pursuit of herbal and healing wisdom on behalf of women in particular generated an interest by the public in her work on menopause, which culminated in the publishing of a guide and audio recording for women going through menopause in 1997, called “Menopause: a Comprehensive Approach “. Mariposa lives in Santa Cruz, California. A decade ago, she earned a Doctoral degree in Applied Oriental Medicine from her alma mater, Five Branches University, where she is also a faculty member and lecturer. The breeze from the pine woods blows my sash; The mountain moon shines upon my harp. You ask me to explain the reason of failure or success. The fisherman’s song goes deep into the river.